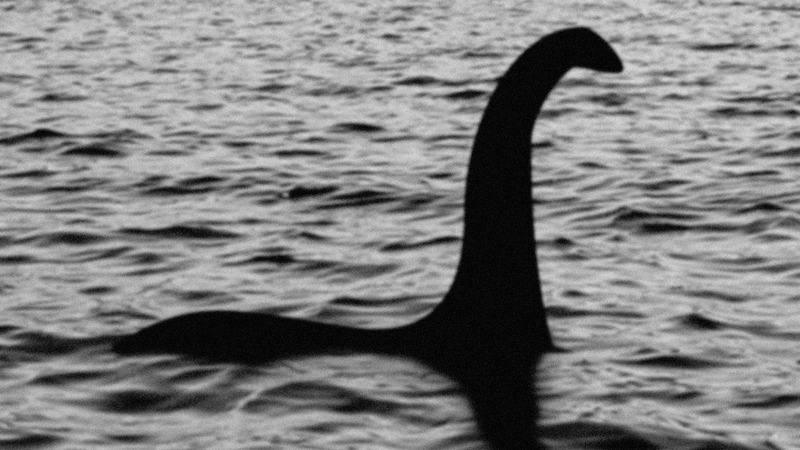 It’s been 81 years since the most famous photograph of Nessie was taken and, although the existence of one of the world’s top mythical creatures has yet to be confirmed, the legend lives on. 1. The first photographic evidence of the Loch Ness Monster was produced by Hugh Grey on Nov. 12, 1933. Critics dismissed Grey’s image as his dog swimming towards him with a stick in its mouth. 2.The Surgeon’s Photograph is arguably the most famous image of Nessie. It was taken by Robert Kenneth Wilson, a London physician, and published in the Daily Mail on April 21, 1934. 3. The 81st anniversary of the Surgeon’s Photograph inspired today’s Google Doodle. 5. On Dec. 7, 1975 The Sunday Telegraph revealed that the Surgeon’s Photograph was a fake. 6. The earliest reported sighting of a monster in Loch Ness appears in the Life of St. Columba by Adomnàn, an Abbot of Iona, written in the 7th century. 8. There were two reported sightings of Nessie in 1933 following the opening of a new road running alongside the loch. 9. Over 1,000 sightings of Nessie have been recorded. 10. People have gone to extreme lengths to create false images of Nessie, from fashioning her humps out of bales of hay to making fake footprints with a stuffed hippo foot. 11. The first organised search for Nessie took place in 1934 when 20 men were each paid £2 a day to be “monster watchers” but saw nothing. 12. On April 1, 1972 newspapers announced that Nessie was dead as part of an April Fools’ joke organised by John Shields of Flamingo Park Zoo, who placed a dead seal in the loch. 14. In 1999 a book was published explaining how the Surgeon’s Photograph was created. Nessie — the Surgeon’s Photograph Exposed explained that a toy submarine (bought from Woolworths) and a fake neck and head were used to make a model, which sunk after it was captured on camera and has never been retrieved from the loch. 15. In 2003 the BBC sponsored a Nessie search but nothing was found. 16. The Loch Ness Monster was crowned the most famous Scot by a 2006 survey. 17. The Loch Ness Monster has inspired several films including Loch Ness (1996) and Water Horse (2007). 18. In 2008 a replica of the mythical monster was built in Florida. The 12-foot sculpture was built by New York artist Gainer and installed in a lagoon as part of Sculpture Key West. 19. In 2009 a man claimed to have found the Loch Ness Monster on Google Earth. 20. 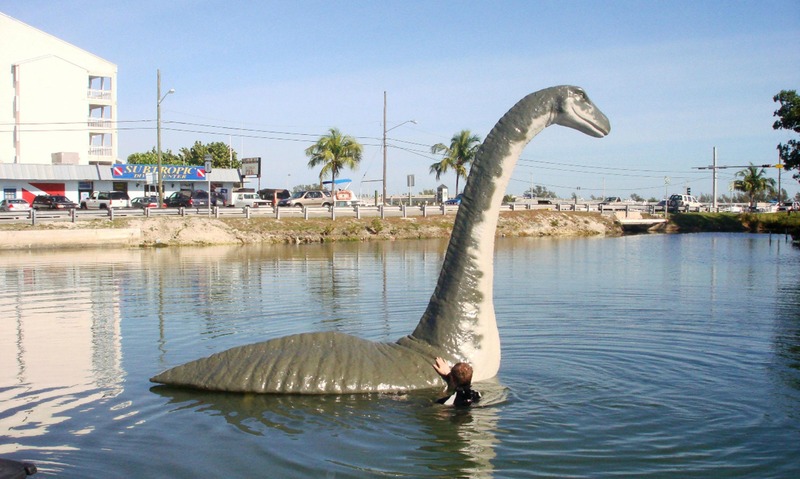 George Edwards, who skippers boat tours on the loch, attempted to fool visitors in 2012 with a fibreglass hump to create Nessie’s distinctive shape. 21. In 2005 100 Scottish Triathlon athletes were each insured for £1 million against bites from Nessie. 22. Dr. Rines, who helped find the wreck of the Titanic, spent 37 years looking for Nessie before his death in 2009. 23. 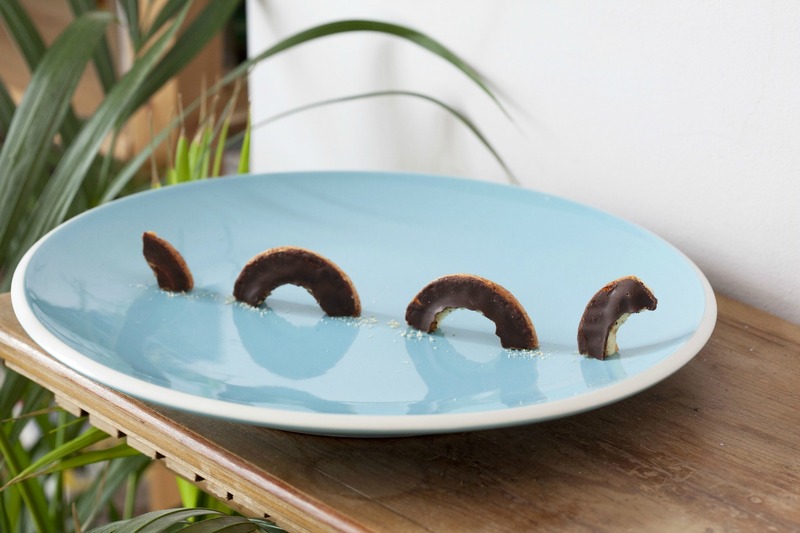 In 2012, to commemorate the Queen’s Diamond Jubilee and the upcoming Olympics, artist Dominic Wilcox used 30 boxes of Jaffa Cakes to create iconic British images, including the Loch Ness Monster. 24. Loch Ness is around 750 feet deep and holds more water than all of the lakes and rivers of England and Wales combined. 25. Part of Loch Ness — named Nessie’s Lair – is 812 feet deep. 26. Locals have awarded some Nessie hunters an online diploma. 27. Kit Kat, Toyota, Abercrombie and Fitch, Orange and Vodafone have all featured the loch in their adverts. 28. There are around 200,000 searches for the Loch Ness Monster on Google every month. 29. Around one million people visit Loch Ness every year, generating around £25 million for the local economy. 30. Fans of Nessie can join the Official Loch Ness Monster Fan Club, which is dedicated to the mythical creature.